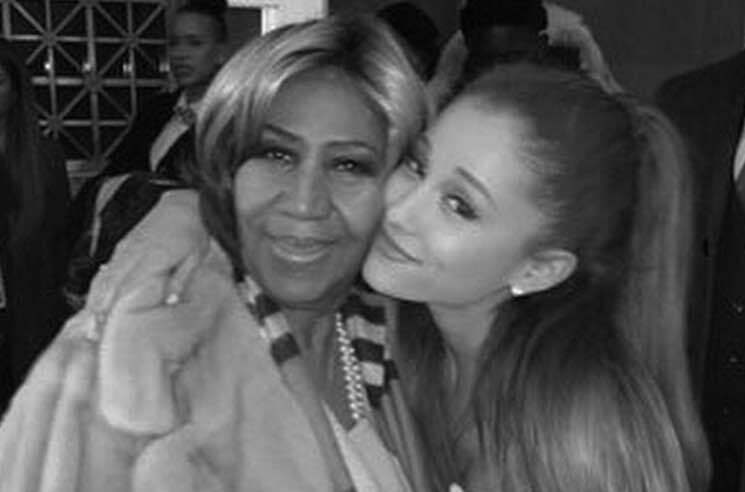 Ariana Grande has been announced as a performer at Aretha Franklin's funeral. According to Franklin's spokeswoman Gwendolynn Quinn [via the Associated Press], Franklin enjoyed meeting the Grande when they both performed at the "Women of Soul" concert for the Obamas at the White House in 2014. Quinn also noted that Franklin's family had been impressed and moved by Grande's tribute to Franklin last week. She performed "(You Make Me Feel Like) A Natural Woman" with the Roots on The Tonight Show Starring Jimmy Fallon while out supporting her most recent album Sweetener. Other entertainers that will perform at the Queen of Soul's funeral on Friday (August 31) include Stevie Wonder, Jennifer Hudson, Fantasia, Faith Hill, Shirley Caesar and Chaka Khan. Bill Clinton, Rev. Jesse Jackson and Smokey Robinson are also expected to speak at the event, which will be livestreamed and aired on television. Franklin is currently on display for a public viewing at the Charles H. Wright Museum of African American History in her hometown of Detroit. She will be laid to rest on Friday in Detroit, with the proceedings beginning at 10 a.m. local time.